Dr Leah Madden completed her studies at RMIT in Melbourne. 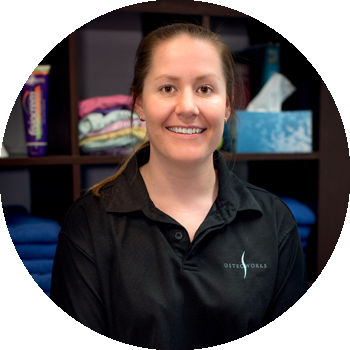 Before joining our team she worked as an Osteopath in Airlie Beach, treating a wide range of patients, from all ages and with various injuries. Through many years of playing waterpolo and competing in swimming events at both social and competitive levels, Leah has always had an interest in the treatment and management of sporting injuries. During her time at university, Leah worked as a sports trainer for an amateur football club where she further developed these skills. Leah is passionate about Osteopathy and uses a wide range of techniques such as soft tissue massage, joint mobilisation and manipulation, myofascial release and stretching to help her patients achieve the best results. Leah believes that tailoring treatment and management plans to individual needs is imperative in achieving optimal results. Dr Leah Madden takes us through 3 exercises that demonstrate how looking after your quads can help with hip, knee, glute and lower back discomfort. This week amidst the cold and flu season, we're going to explore why exercising is important - even if you're unwell. Every week, we invest our time and energy into showing you simple tricks and everyday hacks that you can use to be sure that you are able to live well. It’s only once a week, but be sure to check your inbox and follow us on Facebook so that you won’t miss anything.